Have you ever wondered during your daily routine if there was something you could be doing to save you money? Every day, you make simple decisions that can cost you a good chunk of cash that could be saved and used for weekend fun. Often times you make these decisions without even thinking of the quick and easy alternative rather than spending money. Luckily for you there are plenty of simple and cheap swaps you can make to have more money at the end of the day. In this quick video, you’ll see multiple ways that you can save money that are easy to change in your daily life. You will see how simple it really can be for you to save money, which will make you and your wallet much happier! Not only could these cheap swaps save you money each week, but they could also result in saving you time. Begin applying these easy changes to your daily routine, and start saving some serious cash. Members 1st Federal Credit Union can help you manage your money. Click here to learn more. Ah, spring! It’s the season of renewal, when we can count on longer and brighter days, the return of baseball and the urge to get the house in order. That goes for many people’s financial houses as well. Spring is a good time to comb through your personal finances and ensure that you’re managing your budget, credit cards, investments and insurance in the best possible way. Here’s how to get started. Take stock of your budget, including any major changes in income or spending. Did you or a family member receive a raise, get laid off, take some unpaid leave or adopt a pet? These and other changes should determine how you allocate your money. Similarly, if you know a major expense is coming down the pipeline — such as a child starting college, an operation or a vacation — you can cut spending now in order to boost your financial cushion. Financially speaking, there is perhaps nothing more important than your credit score. It’s a measure of how trustworthy you are as a borrower, and it affects your ability to get approved for and receive low interest rates on credit cards and loans. Resolve to improve your credit habits and bolster your score: Pay your bills on time, don’t take on too much new debt, and create a plan for settling any outstanding balances. Even if you have good credit, you should re-evaluate your credit situation. Review your interest payments and consider transferring your balance to a card with a lower rate. If you took out a mortgage or auto loan a while back, ask your lender if you could save by refinancing. Everyone can monitor his or her credit easily — and for free. You’re entitled to a free copy of your credit report from each of the three major reporting bureaus (Equifax, Experian and TransUnion) once a year. These reports reflect your borrowing and payment history and help determine your credit score. Occasionally, they contain mistakes that could lower your score, so keep an eye out for errors, and ask the bureau to correct any you find. When you set up your retirement accounts, such as a 401(k) or 403(b), you likely selected investments based how much growth you wanted to achieve — and how much risk you were willing to accept. But as you near retirement, you may want to take on less risk — or you may find that your proportion of stocks and bonds has drifted from your target. That’s why it’s a good idea to revisit, and perhaps rebalance, your portfolio each year. This could entail moving gains from your “winning” holdings and reinvesting the profits elsewhere. Home, life, auto — make sure you have the coverage you need and that your beneficiaries are correct. It’s also worth asking your carrier if you’re eligible for any discounts. For example, if you’ve been accident- and ticket-free for several years, you might qualify for a good driver discount. And if you’ve been with the same company for a while, you may want to shop around for quotes for comparable coverage. Spring cleaning usually means throwing things away, but you should retain copies of important financial statements. Don’t want to keep the paper version? It doesn’t take long to download and copy records to your computer, or store them in a secure cloud service. Just as preparing the soil in spring helps produce a healthy crop, tending your financial fields can set you up for financial success. There’s no better time to begin. GreenPath can help. Members 1st Federal Credit Union offers money management and financial education services through GreenPath, a financial management program. We’re one month down, 11 more to go and 2015 will be a wrap. It’s still early enough in the year to review your ﬁnances and set goals. If you haven’t made your ﬁnancial resolutions yet, here are seven tips that can help you achieve ﬁnancial success. REVIEW YOUR BUDGET. List your recurring monthly expenses and compare them to your monthly income. Make adjustments or cuts where necessary to prevent dipping into your savings or using your credit cards. For helpful hints on budgeting basics, download our free brochure on budgeting. PAY DOWN DEBT. If you have numerous credit card balances, tackle the one with the highest interest rate ﬁrst and pay the minimum amount required on all of your other balances. Also consider transferring your higher rate card balances to your Members 1st VISA®, which could save you money. BUILD AN EMERGENCY FUND. Most specialists suggest saving three to six month’s salary in case of an unexpected setback or job loss. Start by putting aside a little from each paycheck now. AUTOMATE YOUR LIFE. Utilize the Bill Payer feature of Members 1st Online. It’s simple to set up recurring payments to ensure that you’re always paying your bills on time, every time. THINK BEFORE YOU BUY. Do you really need that item or is it something that you simply want? MEET WITH A FINANCIAL PLANNER. Our team of Investment Services representatives can help you develop a customized ﬁnancial plan that will help you feel conﬁdent in your goals. * You may schedule a free consultation at any of our branch locations. *Registered Representative of INVEST Financial Corporation (INVEST), member FINRA/SIPC. INVEST and its afﬁ liated insurance agencies offer securities, advisory services and certaininsurance products and are not afﬁ liated with Members 1st Federal Credit Union or Members 1st Investment Services. INVEST does not provide tax or legal advice. Products are: • Not FDIC or NCUA insured • Not Bank or Credit Union Guaranteed • May lose value including loss of principal. 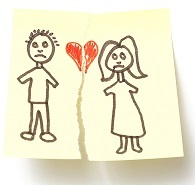 While young adults are living together in increasing numbers, possibly avoiding the fate of being a split-up statistic, divorce rates have actually doubled over the past two decades for couples over 35, according to researchers at the University of Minnesota . When it comes to marriage, baby boomers may be two-time losers. But young or old, divorce, whether legal or laid back, can be an emotional — and financial – train wreck. Here’s how to get back on track. After years of being in a joint financial partnership, it’s time to reestablish your individual credit identity. First, obtain a free copy of your credit report. The three major credit agencies are mandated by the federal Fair Credit Reporting Act to provide a free copy of your report once a year. The official website is annualcreditreport.com, or you can call 1-877-322-8228 to request yours. In case you haven’t already; cancel any remaining joint credit cards so that neither former spouse is liable for the other’s debt going forward. If you don’t have a credit card in your own name, you might want to consider applying for one, in order to build your new credit history. It’s also quite likely that you’ll be carrying a bit of debt with you out of the divorce, such as court costs and attorneys’ fees; perhaps some credit card debt, as well. You may be tempted to pay off those debts all at once with any cash acquired through a settlement, but it might be a better idea to preserve those dollars until you see how your after-marriage money situation works out. Remember to update the names on all other accounts, such as life insurance beneficiaries and authorized users. You may also have to change the names on deeds and titles to property that was granted to you as part of the divorce settlement. Assets that may need to be retitled can include investment accounts, vehicles and houses. You may also want to consider refinancing any debt or mortgages that you have acquired in the process. And of course, you’ll want all of your bank and credit union accounts in your name only. If you received the home as part of your settlement, think about if it’s financially feasible – or even emotionally beneficial – to stay. Not only do you have to consider the mortgage payment, but all of the associated expenses, too: insurance, upkeep, taxes, utilities and all the rest. Children can play an especially important role in this decision, depending on their age, school activities and social involvement. From a financial perspective, you will also want to weigh the tax consequences of a sale, though as a single-filing taxpayer you may qualify to exclude $250,000 of the capital gain from your income. The financial transition may be difficult, however you want to remember your short-term and long-term goals. First, having three to six months of income saved for unexpected expenses can help you get back on your feet. A Qualified Domestic Relations Order (QDRO) will guide the terms of transfer for any qualified retirement account, such as a 401(k) retirement plan or pension. If you are to receive such assets, a trustee-to-trustee transfer will prevent an unnecessary mandatory tax withholding. While few people may guide their personal finances by a formal budget, it’s a good idea to have at least a “back of the envelope” money plan. You may be facing new expenses on your own, such as rent or mortgage payments and even legal costs. The household income has almost certainly changed. Consider all spending as “up for review.” Total up every fixed expense, determine what can stay and what has to go – and then tackle discretionary spending, at least until you can get into a new financial routine. Divorce can force you to think ahead, not back. And in matters of money – that’s a good thing. Note: If you are facing a life changing event such as divorce or are suddenly single for other reasons and you need money management assistance, consider GreenPath, a financial management service that can help keep you on track. Check out our brochure, Getting Married/Suddenly Single. We’re Getting Married: Do We Need Joint Accounts? Planning a wedding? Well then, you’ve got enough on your mind. 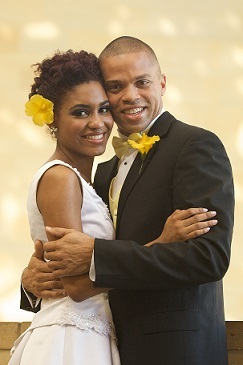 But print out this article for after the vows. It’s about something you’ll need to discuss with your brand- new spouse once housekeeping begins: Do we need joint accounts? You are more than just roommates now; you’re a financial team. So it makes sense to combine assets and put everything in joint accounts, right? Perhaps. At least one joint account—for shared household expenses —can make sense. Both partners can contribute to the fund, either equally or on a ratio based on their earnings. Each can also maintain a separate account for personal expenses. Joint savings and investment accounts are also a way for a couple to feel as if they are building a future together —though IRAs will remain separate, by law. Assets gained before the partners became a couple, such as inheritances, usually remain separate as well, with beneficiary designations in wills and retirement accounts easily changed to reflect the new relationship. Debt can be another matter. Shared debt for a new sofa to replace that ragged futon is fine, but the financial baggage from the past should continue to be held separately — including such things as student loans, car loans and credit card balances. As debt is retired, new purchases can be combined for joint benefit. It is often assumed that credit is automatically combined after marriage, but that is not necessarily the case. Separate credit cards can be maintained and paid individually, while a joint credit card can be issued for spouses to share. This is especially important if one or the other has a checkered credit history. Keeping that scarred score quarantined will allow the other partner to maintain their buying power. Spouses are not generally responsible for the individual debts of their partner, unless payments are for “family expenses”—in that case, in some states, both spouses can be held responsible. 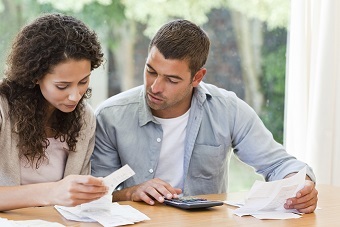 Spousal debt can also be transferred to a marital partner in community property states. In years past, it was common for married couples to enter into a total money merger upon marriage. These days, it’s more common for couples that have joint bank accounts to also maintain individual accounts. Combining assets into a joint account can allow for a higher balance, which credit unions often reward with premium perks and fee discounts.But keeping separate accounts can allow for a bit of independence. The question of single or joint accounts —or both —may come down to a single question: Which one of you is the most adept at handling money? For some married couples, the answer can be obvious. He can’t add single-digit numbers in his head, while she can compute the tax on a purchase while reaching in her purse for the exact change. Usually, the fewer the accounts, the fewer the fees —and perhaps the better the interest rate on deposits. And, if both spouses work, combining paychecks into joint accounts can enable a turbo-charged savings plan: pay bills with one salary; save the other. As newlyweds, the possibilities are endless. Note: Members 1st FCU has partnered with GreenPath, a financial management program to help individuals and couples who may have budgeting, debt management and trouble managing their checking accounts. In addition, stop by any branch location to pick up a copy of our brochure, “His, Hers, Mine, Ours” that offers additional insight when couples decide to marry.